One of the trail cameras I have set up captured this image of a moose calf following its mother as the two traveled along my driveway. 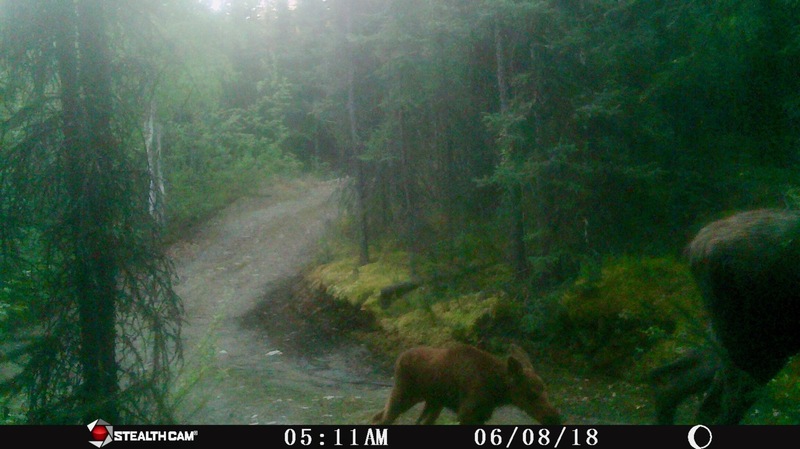 This entry was posted on Monday, July 23rd, 2018 at 7:58 AM	and tagged with Alaska, Fairbanks, moose, photo, video and posted in wildlife. You can follow any responses to this entry through the RSS 2.0 feed.